A pioneer of design and performance, the <strong>2018 Ford Edge</strong> was designed, engineered and built with you in mind, bringing you the power, performance and fuel efficiency that today’s fast-paced lifestyle requires. With available safety features like the Lane-Keeping System and BLIS® (Blind Spot Information System) with Cross-Traffic Alert, the 2018 Ford Edge ensures that you get where you’re going in one piece. Not only does the Edge pack a powerful punch when it comes to performance, it looks good doing it. The 2018 Ford Edge makes a strong style statement inside and out, with dark headlamps and a sleek front grille enhancing new exterior colors and premium cloth interiors. And if design and performance weren’t enough, the 2018 Ford Edge is packed with driver-assist technologies and smart features that handle the small stuff, so you can feel confident on the road. The 2018 Ford Edge has it all. Luxurious enough to make your friends jealous and functional enough to help you navigate through life with ease. Ford’s original crossover utility vehicle has the power and performance to give you confidence behind the wheel. Intelligent All-Wheel Drive (AWD) constantly monitors traction to help guide you through all types of weather and terrain, balancing torque between the front and rear wheels for enhanced handling and maximized traction. The Class II Tow Package is available on Edge SEL and Titanium models and has a maximum towing capacity of 3,500 pounds. It comes complete with sway control to help you tow confidently and keep the vehicle and trailer under control. 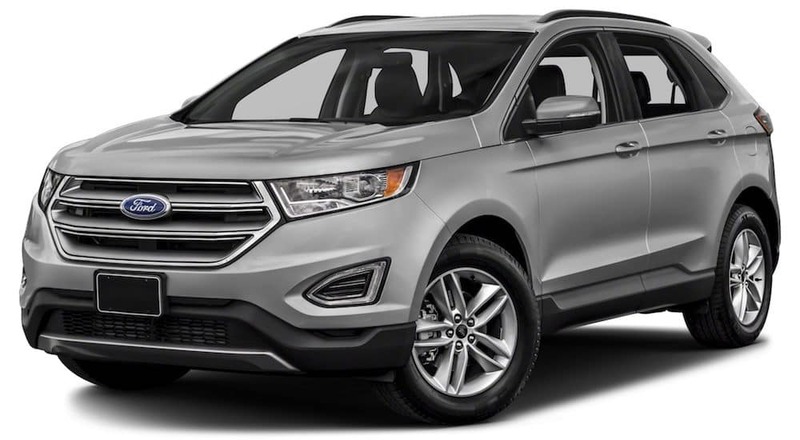 All 2018 Ford Edge models come standard with an Individual Tire Pressure Monitoring System, which detects the air pressure in each tire and illuminates a warning light on the cluster screen if any tire is determined to be below the recommended inflation level. A little kick under the rear bumper triggers the available hands-free, foot-activated liftgate to automatically open, making loading and unloading cargo easier than ever. With three powerful engines to choose from, Ford Edge is more than just a pretty face. Power and performance await under that hood. The dynamic twin-turbo 2.7-liter EcoBoost® engine, featured in the 2018 Ford Edge Sport model, is a lightweight that packs some serious punch with an impressive 315 horsepower and 350 lb.-ft. of torque. The twin-scroll 2.0L EcoBoost engine features an active oil control system without compromising performance. It produces 245 horsepower and 275 lb.-ft. of torque. With an output of 280 horsepower and 250 lb.-ft. of torque, the 3.5L twin independent variable camshaft timing (Ti-VCT) V6 engine optimizes performance for driving conditions. The 2018 Ford Edge might just be the soulmate you’ve been looking for. With adaptive steering, Edge reacts and responds to driver input, optimizing steering response for a smoother and more precise driving experience, helping the driver feel more comfortable and the ride more enjoyable. Edge also features adaptive cruise control, which detects slowing traffic ahead and reduces speed accordingly. Then, once traffic has cleared, the vehicle resumes the preset speed and you’re on your way. If you’re looking for that race-car feel, but haven’t quite mastered the intricacies of a manual transmission, look no further. Ford Edge’s Six-Speed SelectShift® Automatic Transmission with Paddle Shifters uses race-inspired technology to bring you the rugged feel of shifting gears with the easy use of an automatic transmission. Steering wheel-mounted paddles allow you to easily shift gears without taking your hands off the wheel. The 2018 Ford Edge is packed with driver-assist technologies designed to give you confidence on the road. Stay connected with SYNC® 3, engineered to keep your eyes on the road and your hands on the wheel while you interact with Siri® for iPhone of GoogleTM for Android so you never miss out on the action. With Apple CarPlay, you can access your music, maps, make phone calls, send texts and more. Android Auto brings you GoogleTM Maps with voice-guided navigation system, complete with live traffic updates and an estimated travel time. Blind spots be gone with the help of available feature BLIS® with Cross-Traffic Alert, which uses radar to detect vehicles hanging out where you can’t see them. You will be alerted with an indicator light on the appropriate exterior mirror. Cross-traffic alert also notifies you of approaching vehicles as you back out of parking spots. The 2018 Edge protects you from unintentional lane departures with a series of wheel vibrations that are a part of its Lane-Keeping System. Just short of parking your car for you, 2018 Ford Edge’s Enhanced Active Park Assist uses ultrasonic sensors to measure the distance between other vehicles to determine a suitable parking space. Once a spot has been identified, Ford Edge will notify you to stop and accept the system’s assistance. The system also guides the vehicle to smoothly parallel park or back into a perpendicular parking space with few maneuvers on the driver’s part. The 2018 Ford Edge also offers smart features, like rain-sensing wipers and auto-dimming exterior mirrors, to take care of the little things so you can focus on the road. A front 180-degree camera placed in the grille helps you see around corners for a safer turn. 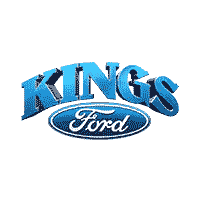 Get all your technology working together with FordPassTM. Find parking, compare fuel prices along your route, and schedule service all from your phone. 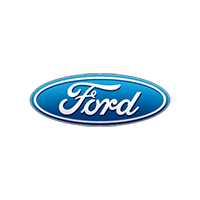 FordPassTM is available on the App Store ® or Google PlayTM. The 2018 Ford Edge commands attention, featuring a bold design with smooth lines and a sleek, aerodynamic shape, so you’re guaranteed to arrive in style. Get ready to turn heads. Interior features exhibit an unmatched attention to detail with a standard leather-wrapped steering wheel and leather-trimmed sport bucket seats, metal-plated accents, and ambient lighting to fit your mood. Style and usability combine for a modern, refined-looking interior evident of quality and craftsmanship. With the available Panoramic Vista Roof® design, whether you’re sitting up front soaking up the sun through the large forward panel, or riding in back under the fixed rear skylight, you’re sure to enjoy the view.